Through the songs, Chris the Rhinoceros, Unicorn, Kiai!, My Dog, Sleuth Mouse Detective, Song of the Frogs, and A Musical Story, students practice symbol recognition, keyboard topography, different tonalities, rhythms, and, of course, creative skills. All lines and spaces of the grand staff are used—a few at a time. 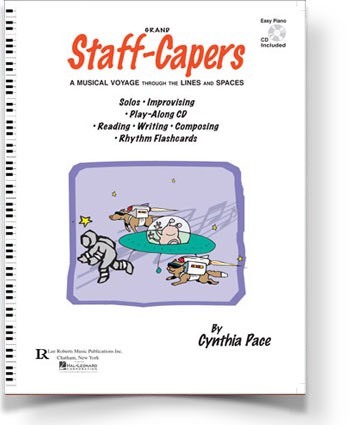 Rhythm flashcard cut-outs and writing activities, along with ear-training and improvisation CD-tracks, offer many options for skill-building in a fun, musical way. Also includes entertaining illustrations and CD accompaniments.